If you are a cheapskate, and want to host WordPress yourself, on a Raspberry Pi sitting on your bookshelf – then good for you (me?). What you might find, when installing WordPress on your own LAMP box, is that installing plugins/themes etc requires an FTP account – credentials WordPress asks you for. This isn’t ideal, as in my self-hosted case I don’t have a Linux ‘user’ specifically for my WordPress instance, and I can’t figure out the arcane magic required to set up a specific FTP user that also shares access with my /var/www/whatever.com directories, messing with groups and permissions and whatnot..
All of that out of the way – I had that problem. I tried a variety of complex methods to get the thing working, and I couldn’t find an elegant solution – until I noticed that the root directory for my Apache install’s webpages (/var/www) wasn’t owned by my web-server user (www-data on Debian 9). A quick “sudo chmod -R www-data:www-data /var/www” and hey-presto, no more asking for FTP details – WordPress just works. The best way I could find to manage this in a painless way under Windows was called ssh-tunnel-manager. It’s a bit of open-source software you can find archived on Google Code – here. It’s a simple and elegant program that is written in C# that lets you do a bunch of things, one of which is manage SSH connections to remote hosts and treat them as SOCKS proxies. My use case, as shown above, is to SSH into a VM (vm.example.com), using an SSH key (can also use passwords, but boo! ), and create a tunnel I can point my browser at to hit things in my home network (obviously you could also use this to access a dev box, cloud VM, anything really!). In the screenshot I have created a tunnel called “my_tun”, dynamic destinations and on local (to my windows machine) port 9090. Once the tunnel is configured and ‘up’, you can point things in your OS at the SOCKS proxy localhost:9090 (here I’m showing Firefox). Neat. 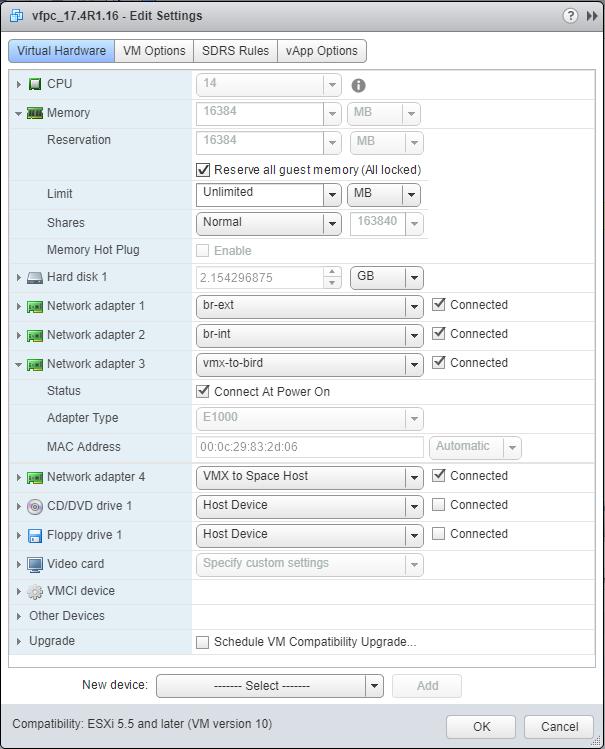 The problem I have faced recently is my home VM has upgraded from Debian 8 to Debian 9. In the process, OpenSSH has been upgraded and no longer supports the out of date Key Exchange algorithms that come bundled with ssh-tunnel-manager – so you get an error message saying the SSH connection can’t be stood up. Lucky for us – the devs of ssh-tunnel-manager simply bundled a bunch of PuTTY executables that their code uses. Simply open up the directory “SSH Tunnel Manager \ Tools” and replace the 4 .exe files that come shipped with the software with recent ones from the PuTTY website – easy peasy – and it all just works again. 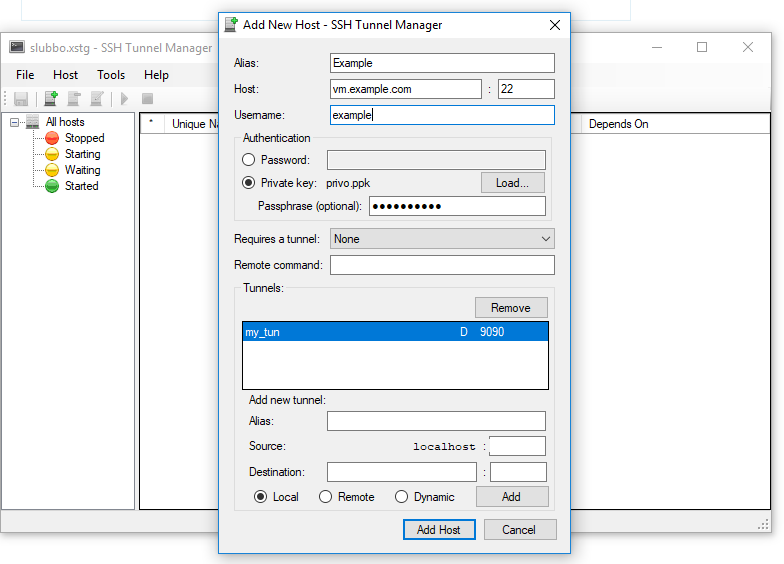 It’s a bit of a shame that the developers of ssh-tunnel-manager aren’t keeping their great software current – but lucky for us we can keep it going all by ourselves – for now! This post is really a persistent note for me. Every now and then I end up going down the road where I need to administer a Dell server (typically one I can afford for home use, like a Dell R610) – only to find that everything I rely on at work (like having windows/java/etc) is out the door. 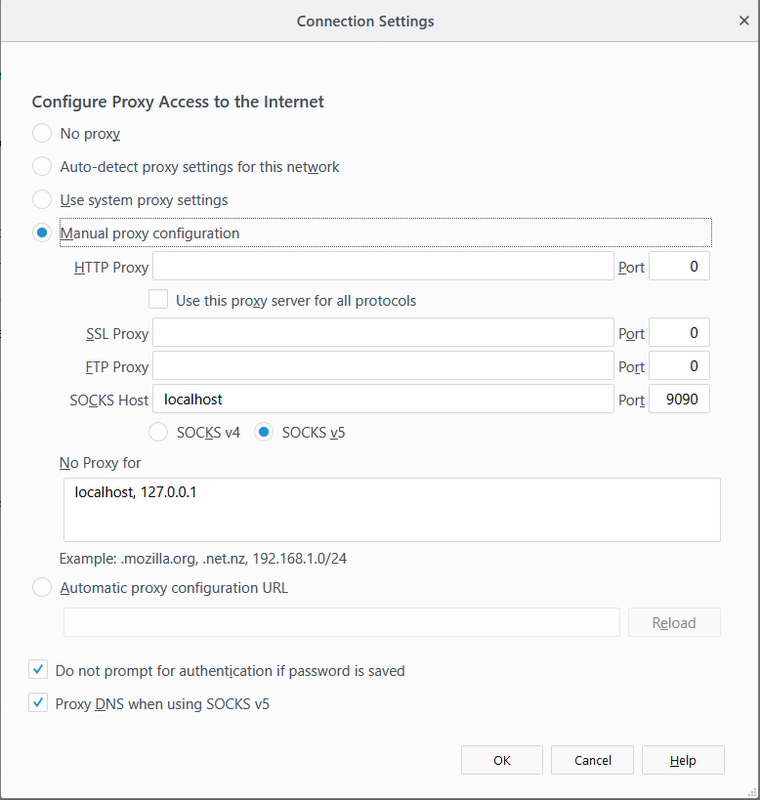 Here are some steps to allow access to the iDRAC on Dell Rx10 server from a Mac, using Chrome as a browser. 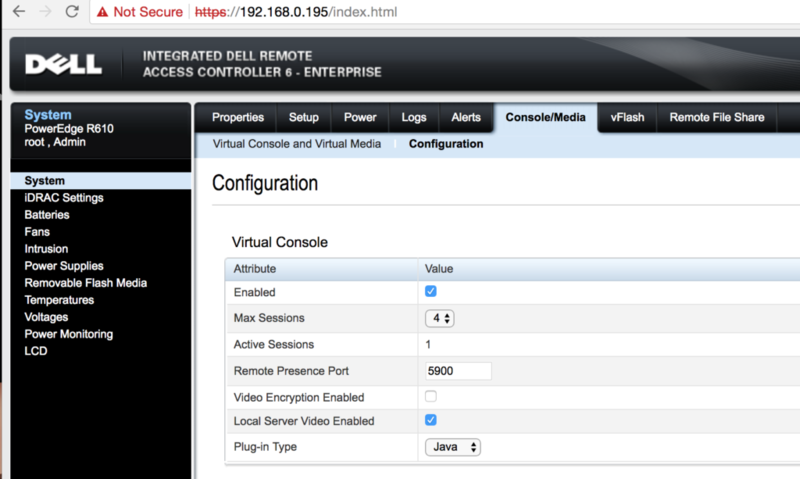 4: Change the plugin type from Native to Java, and disable video encryption. 5: Open System Preferences on your Mac, and find Java. 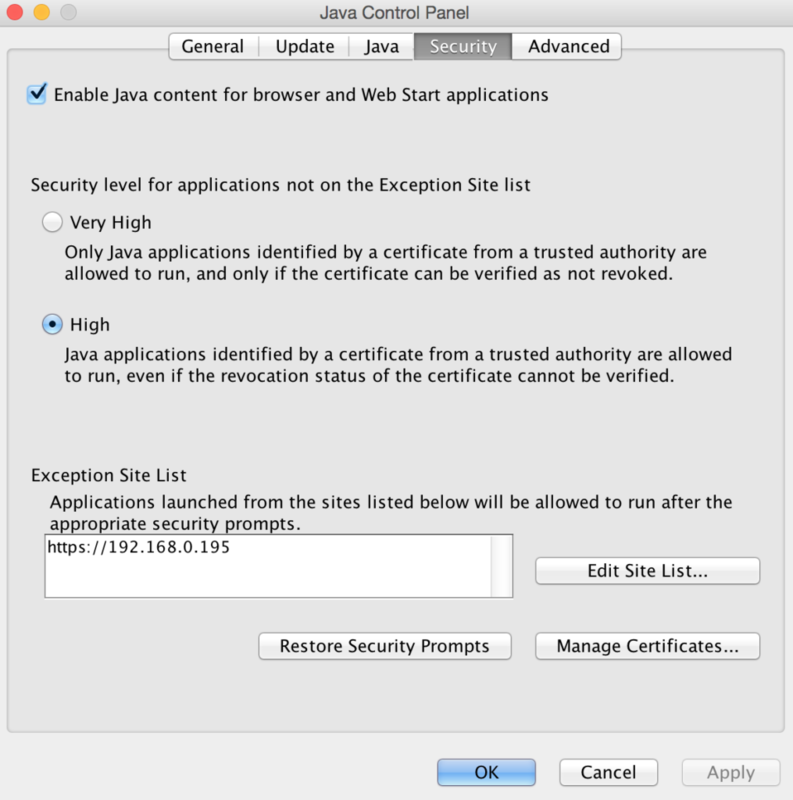 Go to the ‘Security’ tab and add the https address of your iDRAC to the list of excepted sites. 7: Back in the iDRAC web front-end, you can click ‘Launch’ on virtual console. This will download a .jnlp file (or a hideously renamed one, in my case). Rename this file viewer.jnlp (and accept OSX complaining about changing file extension). 8: Edit viewer.jnlp with a text editor (TextEdit or Nano will do) – and replace the ‘user’ and ‘passwd’ fields (which will be hashed numbers/text) with your iDRAC login details. 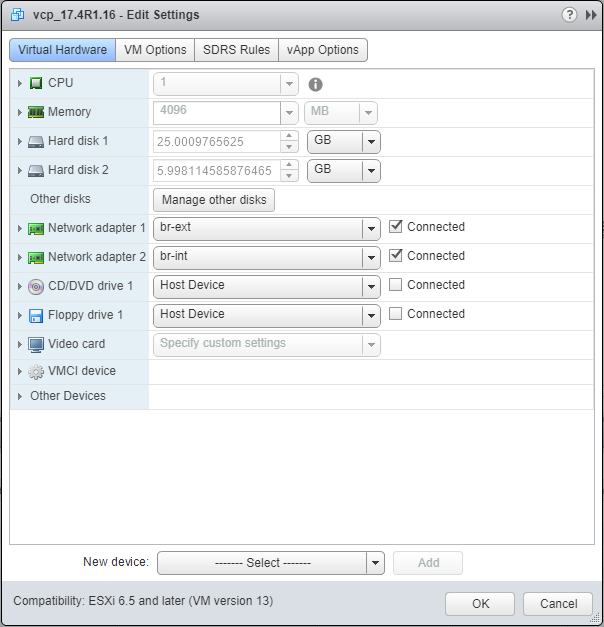 Note – this step is optional, but it means you can open the console without having to log into iDRAC every time. I am currently obsessed with network automation. My favourite ‘stack’ at the moment is Ansible, git and the Juniper Ansible libraries. There are a thousand ways to skin this particular cat, but for my current project (enforcing ‘golden config’ across a large number of devices) – this limited number of tools does the job. As with most cool new tech, there are hundreds of posts and docs, most of which are similar enough to give the illusion of cohesion, but all critically different when it comes to the nitty-gritty, causing confusion and angst. At least, that’s my impression. So – if you want a Junos Automation machine, ready to attack your network with Python and Ansible, follow along. I’m using Debian 8, a fresh install. Splat these commands in to set up the bits you will need. I have tested these and find they work, resolving the dependencies and resulting in no errors. You’ll end up with Ansible installed in /etc/ansible, the freshest Juniper library for Python (version 2.7) interaction via Ansible. You’ll also have git installed, one for installing the Junos EZNC package and for future use. My end goal here is to use this system to completely automate my network, but for the time being – we’re good to start using Ansible to take baby steps towards that goal. I have created a directory called lab-automation, and in it three sub-directories. One called scripts (for my playbooks and shell scripts), one called logs and the other called configs, for my configs! 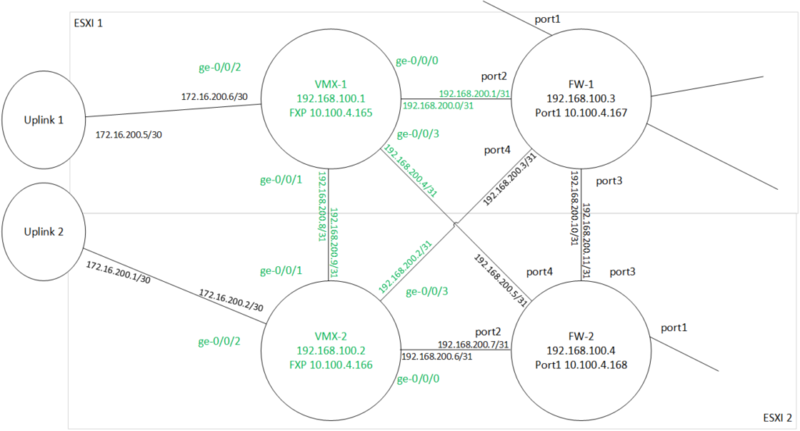 I have created a basic Ansible playbook, which uses the previously installed Juniper.junos role, and connects to my lab routers (mx1-mx4, as defined in the /etc/ansible/hosts file and my /etc/hosts file). If I run this playbook, what happens? Great. My files are pulled down from the network. I can do all kinds of fun things with the Juniper Ansible library – and so can you. Check it out here. Note – I took much of the code snippet here from ‘Sruc‘ on the RPI forums, but wanted to post a clear method that I know works. Cheers Sruc! The eduroam network (for universities, researchers and highschools around the world) is a great thing. One login lets you connect to wifi access points all over the place, as long as you’re enrolled in or working for a participating organisation. One thing that bugged me out of the box with the Raspberry Pi (in my case, a Raspberry Pi 3 running Pixel) – was the Enterprise WPA wifi not working out of the box. Note – I am not sure if this will work for all instances of eduroam, as some Universities etc handle authentication differently – please check your organisation’s help pages or get in touch with them first – they usually have a guide. I hate when things change for no good reason. This week, it’s the interface naming of ethernet on Ubuntu 16. No more does it default to ‘eth0’.. It uses some other ‘ens’ style.. Garbage! If you add a new interface, it will come on as ethX, following the already provisioned interfaces.